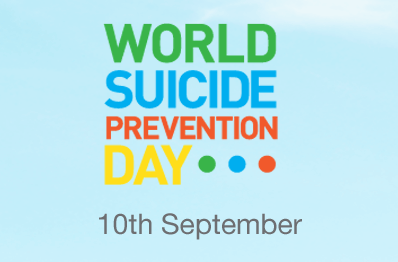 It’s World Suicide Prevention day. For those of you who don’t know why this is an important day for me, you can read this post, My fish are dead. I figured today was the perfect day to give an update on what I’ve been doing with my days off – I’ve been taking meetings and booking speaking engagements! The next one is in a couple of weeks, I am going to be the “first voice” speaker at a Government of Nova Scotia mental health training program. It will be a session where I discuss my personal mental health and how it affects me in terms of my job and workplace. Then I have two dates booked with Saint Mary’s University. They are having a mental health awareness month in October and I’ve been asked to be the keynote speaker at the official opening and also to appear as a panelist at a session later in the month. My most recent meeting was with The Schulich School of Law at Dalhousie University. Also in October, I will be giving a presentation to their student body. This talk will focus on mental health self-awareness, awareness of peers, and the importance of seeking help. These university talks are very exciting for me because this was the age I was at when I tried to kill myself. My goal is to reach one young person with every talk. While I’ve been preparing for these presentations, I’ve been doing a lot of self-reflection and I’ve realized something important… Maybe I’ve lived such a full and successful life, not in spite of my depression, but because of it. If this is true, and I really believe it is, then I have a responsibility to embody this year’s motto and will continue to seek out, and accept, whatever speaking opportunities I can. So far, so good! This entry was posted in General, Mental Health and tagged Dalhousie University, depression, giving back, Mental Health, Nova Scotia, public speaking, Saint Mary's University, suicide, Suicide prevention. Bookmark the permalink.